This one is already racing up the charts. 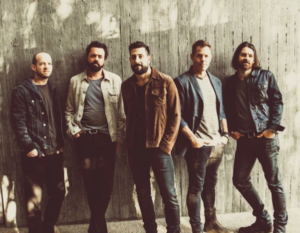 How good is Old Dominion? I really need to look more into their rise to stardom in the country world. I’m guessing they were out there grinding for about ten years before their breakout a couple years ago. They’re now counting four big hits to their name. Three from their first record, which was a smash success and now one already from their sophomore album. And that’s not easy to do. Things are hectic with the second record after you breakthrough. These guys know how to find a great melody. That seems to kind of be there thing with these first handful of hits. They find great melodies. Different and fresh, but not too out there. Very approachable for the mainstream country audience and I like that. I’m going to list this one as a sad country song. You might not think that at first especially with the way it sounds. But there’s a slight sadness in the vocals. You have a guy that’s wondering where this thing is going with a girl. Sometimes she gives him the vibe that she wants to be with him forever. Other times he gets the vibe that she’s just in it for the short-term. Or maybe she doesn’t even really know what she wants from this relationship. It’s a clever lyric. Are these two just written in the sand? Ready to wash away with the next wave?